Gluten free shakshuka is something I’ve wanted to try for a long time. 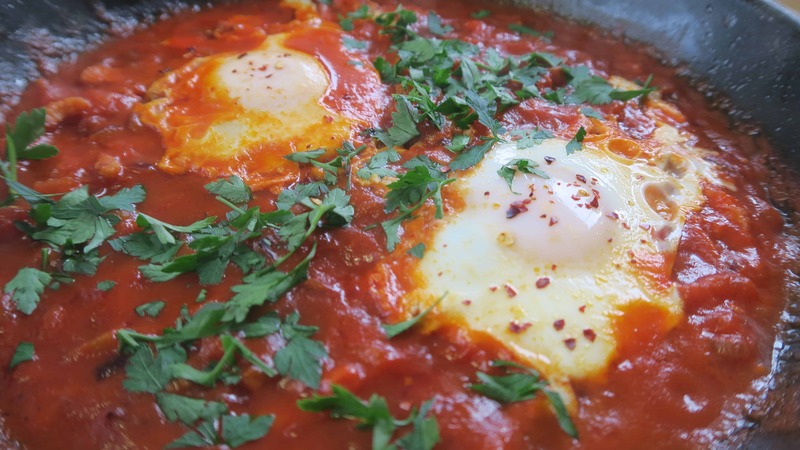 This middle-Eastern treat consists of eggs poached in a rich and spicy tomato sauce. It’s the ultimate gluten free brunch recipe. But it doesn’t have to stop at brunch – this gluten free shakshuka is a great idea for a healthy lunch or dinner too, which is quick and easy to throw together. Traditionally, shakshuka can be made a variety of ways. Some add peppers to the mix, others go heavy on the garlic. Many recipes spice it up with cumin, harissa paste or paprika. For this recipe, I wanted to keep things simple. 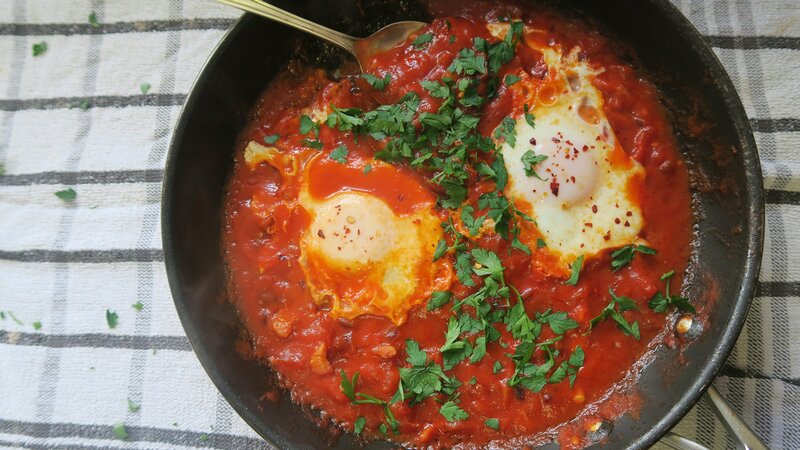 My gluten free shakshuka recipe is a one-pot wonder. You basically throw everything in and it’s ready in less than 15 minutes. Perfect for a sleepy weekend, or those nights when you crawl back from the gym, unable to move your arms above your head. That happens a lot! The key to getting your gluten free shakshuka just right is making sure the eggs still have a runny yolk. I have found 4-5 minutes to be the sweet spot – and longer and they just harden. You definitely need a pan with a lid as well, otherwise you’ll end up with snotty eggs on top! How much of this you want to make purely depends on how hungry you are! I would happily demolish the recipe below in one sitting, but if you wanted to, you could halve it and serve it with some crusty, gluten free bread to mop up the plate. Try the Sainsbury’s freshly baked gluten free baguettes warmed in the oven, they are delicious. Once you’ve got the basis of this gluten free shakshuka, don’t be afraid to mix things up a little. Add a little more chilli, throw in some more garlic. Why not mix it up with some chopped peppers or mushrooms before you add the tomatoes? For brunch I love the smoked pancetta, but for dinner I sometimes switch it out for chorizo instead. Have a play and find your perfect match. 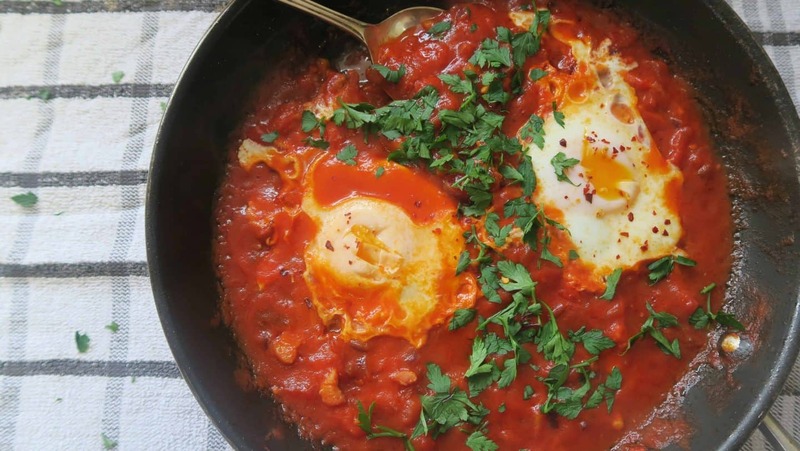 A spicy and rich gluten and dairy free shakshuka recipe which is perfect for a gluten free brunch or one-pot meal idea. Finely chop the onion and crush the garlic. Add to a small, deep frying pan with the olive oil, chilli flakes and pancetta. Fry on a medium heat for around five minutes until the pancetta starts to go crispy. Add the tomatoes and tomato puree to the pan, stir and simmer on a low-medium heat for 4-5 minutes. Reduce the heat to low. Using a spoon, make a 'dip' in the sauce and crack in the egg. Repeat on the opposite side of the pan, then place the lid on the pan. Heat for 4-5 minutes until the eggs are cooked through but remain runny. Remove from the heat and sprinkle generously with chopped parsley. Serve and eat hot. 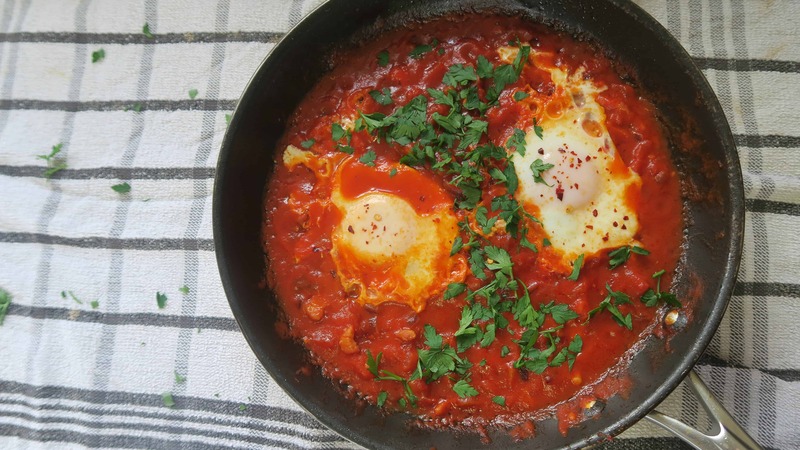 This gluten free shakshuka recipe really is so simple and is a great way to up your veggie intake too. 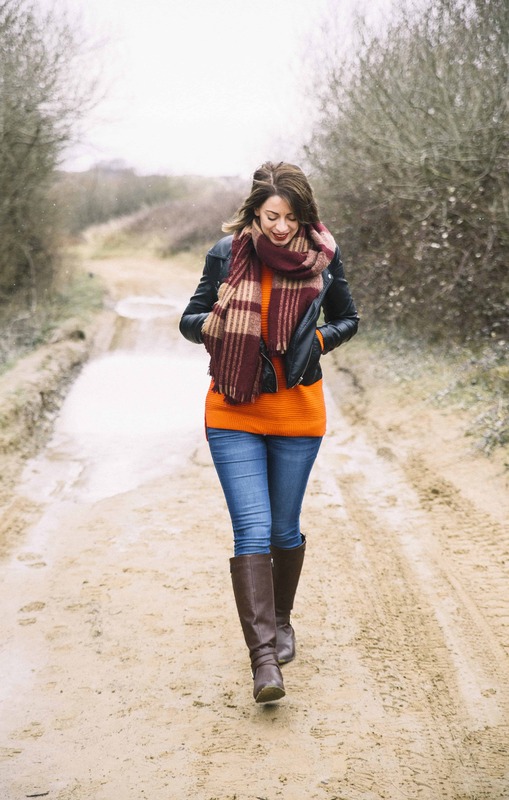 I love hearing your gluten free recipe suggestions – what is your favourite gluten free brunch recipe? You can always contact me with suggestions on my Facebook Twitter and Instagram pages! Next Post Eton mess cookies – gluten free, chewy and delicious!